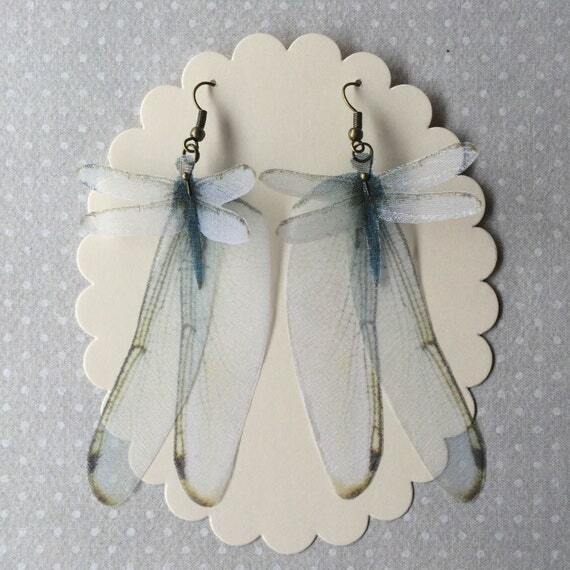 These dragonflies will fly to you with registered tracked airmail by Poste Italiane shipment service. 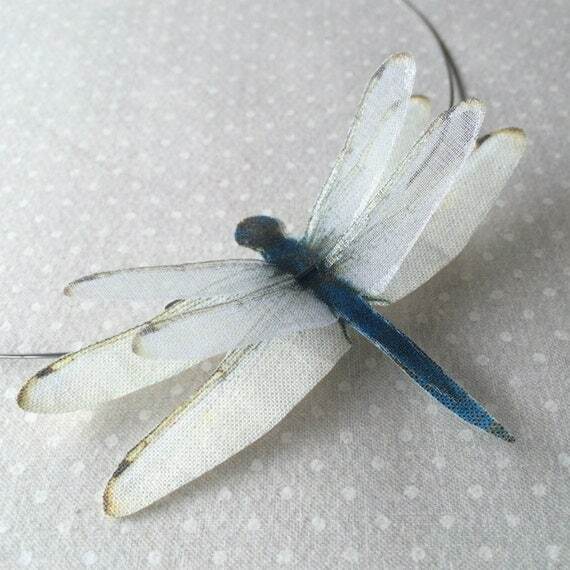 Completely handmade dragonfly necklace, with silk organza and cotton dragonfly. I chose dragonfly images one by one, from real pictures and vintage illustrations. Wearing this necklace, you wear a dragonfly! These dragonflies will fly to you with Poste Italiane shipment service. 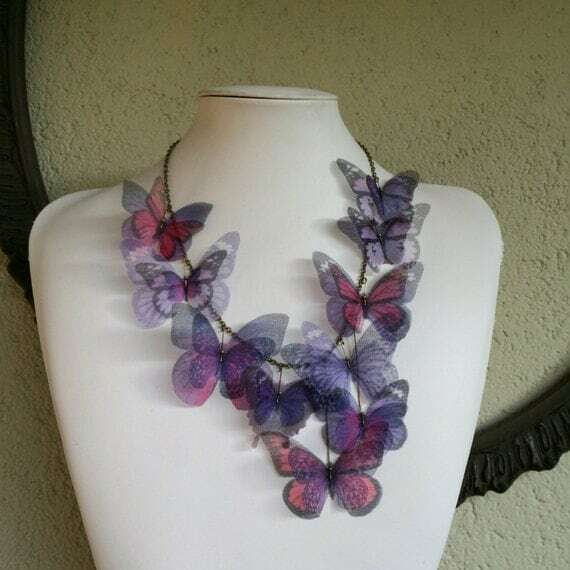 Completely handmade necklace with cotton and silk organza butterflies. Then I printed them on high quality cotton and silk organza, sealed, hand-cut and fixed using steel. 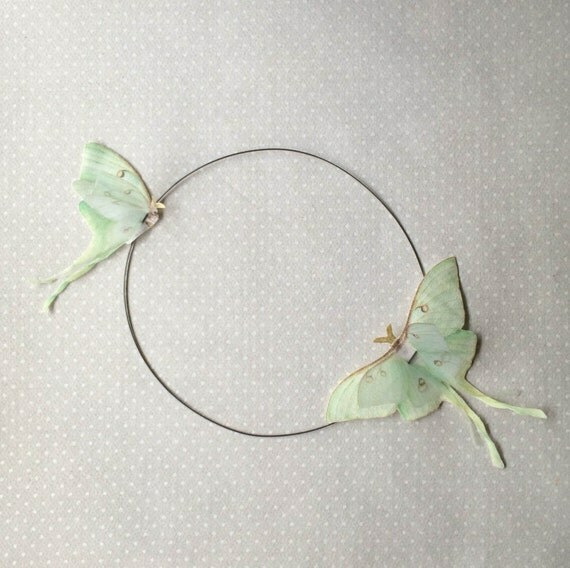 Wearing this necklace, you wear butterflies! There are 4 butterflies on this necklace, and they measure about 10 x 9 cm. Steel wire with handmade clasp. In pictures you can see a SMALL size.